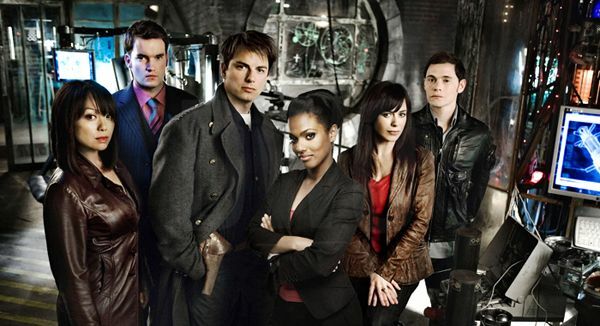 In July 2011, Starz will be bringing the 4th season of the popular BBC series Torchwood to a new global audience. 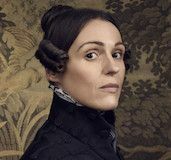 Exposing new viewers to the show and expanding the world to increase its international reach means a bigger story and new cast members (including Mekhi Phifer and Bill Pullman) will be joining old favorites. Subtitled Miracle Day, the story follows what would happen if, one day, people ceased to die, and explores what that sort of overnight population boom might mean for individuals all across the world. This obviously unnatural event that threatens the human race is something that, of course, only the secret Torchwood team – which includes Captain Jack Harkness (John Barrowman) and Gwen Cooper (Eve Myles) – can attempt to resolve. Question: What can you say about the provocative premise of the upcoming season? RUSSELL T. DAVIES: This has been working under the working title of The New World, but that was a secret title to hide the real title, which is now Torchwood: Miracle Day. The premise is that a miracle happens to the world. It’s as simple as, one day on Earth, no one dies. Not a single person on Earth dies. The next day, no one dies. And the next day, no one dies. And on and on and on. By the sixth day, the old stay old and keep getting older, and the dying keep dying, but no one quite dies. The possibility of death ceases to exist. That’s great news for some people, but globally it becomes a problem. That’s what the whole show is about. It’s an instant overnight population boom where, suddenly, the Earth relies on people dying. That’s how the whole system works. So, suddenly, you’ve got a crisis affecting everyone on the planet. That’s where the Torchwood team and our brand-new characters come in. How has the process of transitioning this show to the States been for you? DAVIES: It’s been fantastic. I haven’t really have any horrendous experiences. I’ve had a good time with it. I came to America with Jane Tranter and Julie Gardner – my fellow executives at BBC Worldwide – to work with the people here and the talent and the ambition. I love all of the stuff we’ve done in Britain. I love the people we work with. Frankly, it’s bigger here, and there are different opportunities and things to learn. That was our major drive for coming out here. 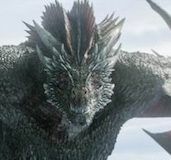 You’ve seen the shows that Starz is selling here, and we want to bite some of that and experience it. So, we came here and it was a fantastically straight-forward procedure. Jane Tranter already had a very good working relationship with Chris Albrecht. We went to him and pitched the idea of Torchwood and, in a matter of months, we were good to go. We start filming on Monday. We are talking premium cable. We are talking a channel that is dedicated to bold, exciting ideas and stuff that you won’t fit onto a network. That’s always what BBC One has been back home, and that’s always what Torchwood has been, in its various guises. It’s been a good fit. We’ve learned a lot, and once we start filming, we’ll learn an awful lot more. But, it’s a good laugh so far. That’s the important thing. When you killed 80% of your cast in Children of Earth, was that pretty much it in your mind, or was there a lingering hope that the show might continue? DAVIES: Oh, there was always hope. That’s actually a feature of Torchwood. A lot of more straight-forward science fiction shows on big networks get a cast of 12, and they are all under contract for seven years, so they all stay with you for seven years. Torchwood was always at a high body count because I think it makes the story stronger and more dangerous and more frightening. You cannot guarantee who will survive, and I think that raises the stakes for everyone. 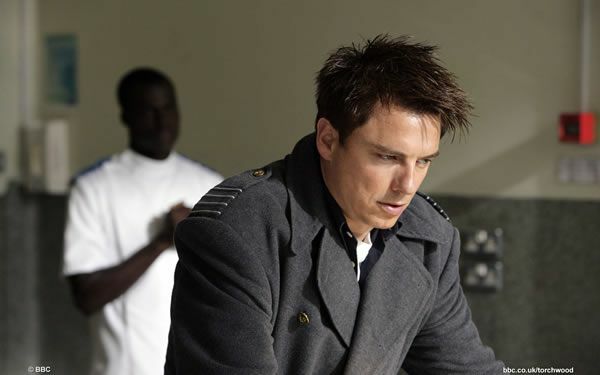 Is there something to tantalize Captain Jack Harkness (John Barrowman) back for Season 4? DAVIES: There is. Captain Jack has a history. It’s very important to say that, in many ways, while loving and embracing everything we have done in the past, this is a new start for Torchwood. It’s a new launch. I think it makes sense, as a new viewer. That was compulsory. It’s an interesting hybrid of a show. Part of the action is in Britain, but most of the action is in America. Will there be any Doctor Who reference or blending, at some point? DAVIES: Captain Jack is an immortal, and what we are talking about is the world turns immortal. There’s an awful lot of story packed into that. It’s still the same old show. 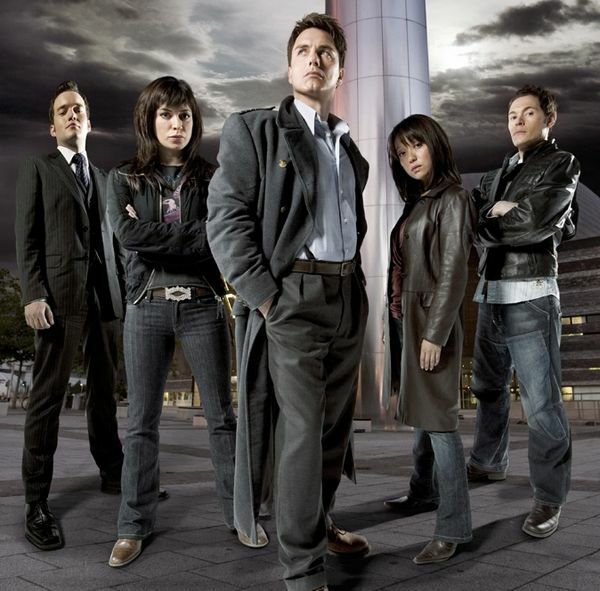 For those of you who don’t know, Torchwood began life as a spin-off of Doctor Who, before acquiring its legs and becoming a show in its own right. But, we honor and respect history. There’s no break in continuity. There’s no fracturing. There are fewer references, to be honest, because we are making a show out here, and they are making a show in Britain. It’s quite difficult to coordinate any sort of cross-over. You wouldn’t even want to, as both shows have a fantastic identity of their own. But, for those fans who like that sort of stuff, it’s still absolutely faithful, and you get the odd little moment where it will satisfy on that level. You always have LGBT themes and characters in your shows. How will that be addressed in this forum? DAVIES: I could get on my soapbox and say how important it is to me, but it’s just simply who I am, as a gay man in the world, given opportunities to write on all sorts of networks, which I’m immensely grateful for. It’s not like I include gay characters because it’s my duty, or anything. It’s simply second-nature for me to do that. It would be rather odd if I didn’t do that. And, I’ve been very lucky. I think you are very lucky when you are the man who created Queer as Folk because not many people ever dare stop you, having done that. If you were a new writer, people could say “Let’s stop with the gayness.” But, that doesn’t happen anymore. Captain Jack is a great, big, swaggering bi-sexual lead character, and people don’t blink about that anymore. Certainly, no one at Starz ever even raised an eyebrow. It’s just been healthy and progressive. We want a brand-new audience on Starz. We want to increase the audience on BBC One. We must sell this to 57 countries, and they can all see that on the screen, and that’s got to be good. How gratifying is it for you to look back and see where Doctor Who is today? Are you at all surprised at what they’ve done with that show? DAVIES: No, it’s brilliant. Gratifying is exactly the word because you have to think all the way back to 2005 when we brought that back and people said, “That will never work.” Science fiction was dead in Britain, and it was an old joke of a show, frankly. Everyone told us we’d fail, and we took that show to be the #1 show in Britain, beating every other drama, every other reality show and every other program. So, it feels like the finest legacy. I don’t feel responsible for Steven Moffat’s years at all. He’s his own man. But, to see it still staying up there, still striding the ratings and still being the cultural zeitgeist is simply what the program always deserved. I’ve loved that show since I was three, and I always knew it could be that good. I really, honestly believed that, and we don’t often get the opportunity to prove that. It’s brilliant. And, it’s great to then take something like Torchwood, spin it off, and set that up. We stand here, now, at a whole new chapter, a whole new birth, a whole new premise. I like to think that this is standing in its own right, as its own show, with almost a different form of science fiction that I can’t quite see happening on any other shows, except for this new version on Starz. What Torchwood does now, in its new iteration, is take an idea, a concept, an event – which is this fact that no one is dying – and simply drops that into the middle of all of our lives. That’s the science fiction of it. The fantasy is to say, “What are we going to do now? What is our government going to do now? What are our children going to do now? What is society going to do now?” Some of those answers are beautiful, brave and brilliant, and some of the answers, looking into the depths of human nature, are terrifying. I like this forum of science fiction. It feels brand-new. It’s taken us these five years to get there, and it’s a great platform. I am really excited by it. What did you learn from making Children of Earth that you are applying to this new season of Torchwood? DAVIES: What we got rid of in Torchwood is the format of monster-of-the-week that we had in the first two seasons. It was a great format. Lots of shows do that absolutely brilliantly. In Britain, it was always slightly in Doctor Who’s shadow, as a result. When we got the chance to do Children of Earth, it became what it is now, which is simply one continuous story with a beginning, middle and end. This new series is 10 episodes long, and there is a massive, shattering climax to the whole thing. You’ll find out who lives, who dies, what happens and whether they can stop it or not, and that’s the end. It’s got that shape to it now. Children of Earth found its legs, and it feels like we’ve stood up tall now. I can’t wait for you to see the show. It’s a really rigorous premise. 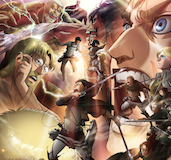 There are some shocking episodes to come, in terms of some visuals and some things about people. It’s about what we are capable of, and the depth which we will sink sometimes. That feels really great, exciting and new.